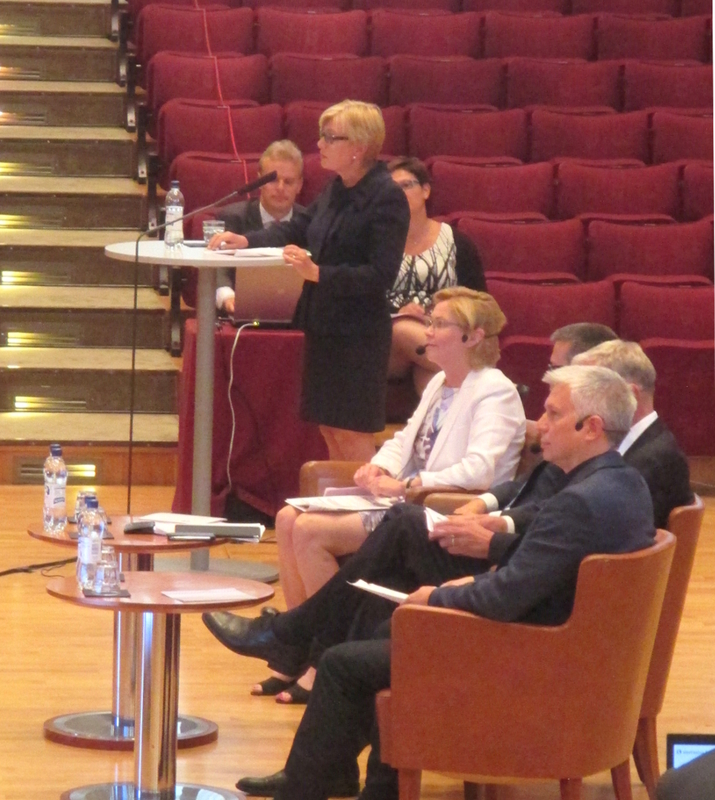 President, Professor Anneli Pauli, Lappeenranta University of Technology served as the moderator. Before her current position at Lappeenranta University of Technology, Anneli Pauli has worked as the Deputy Director-General of the Directorate-General Research and Innovation of the European Commission and as the Deputy Director-General of the Joint Research Centre of the European Commission. 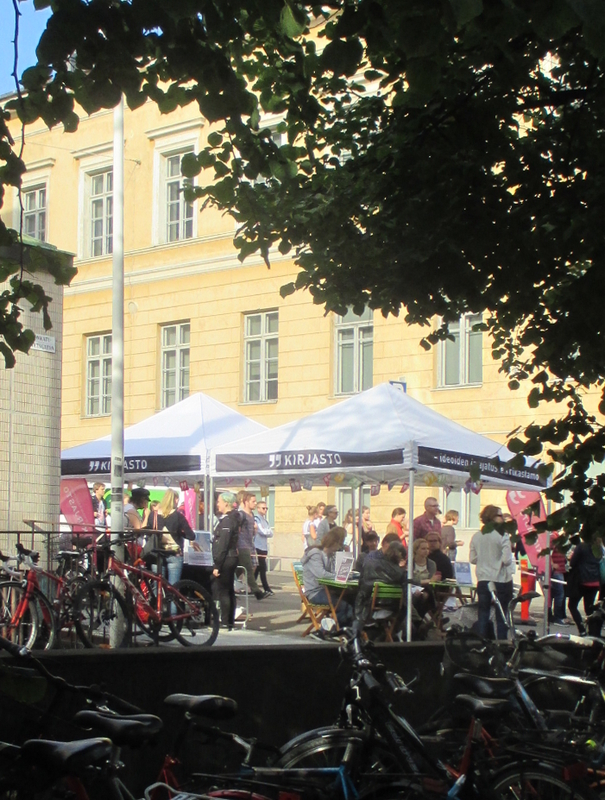 Pauli first congratulated University of Helsinki for its 375th anniversary. She continued by introducing the two main themes, Open Science and Open Data in one hand, and new forms of funding in the other. The audience could participate by asking questions directly or presenting questions through a message wall or social media (Twitter and Instagram). Commissioner Moedas told about the importance of European collaboration in an early stage of his career. He was born in Beja, a town in southers Portugal. Moedas mentioned that Erasmus changed his life forever, enabled studying in Paris. These are the kind of things that make Europe and that are easily forgotten. The main projects of the EU are peace and prospery. Europe has been a conversion machine. First, wellbeing of citizens has developed to a large degree. Second, within EU there are 7-8% of the world population, but 30% of knowledge is created here. Third, we are the only social platform of the world where people are taked care of. This is a unique feature for EUrope. Pauli introduced the first discussion theme, is openness a key to scientific excellence and to innovation? Commissioner pondered that border of different disciplines is important for innovations in digital age. He presented the example of Ada Lovelace (and Charles Babbage), daugther of Lord Byron. Mother told Lovelace to study mathematics and science. Thanks to her understanding and experience of art, Lovelace who is coined the first programmer envisioned programming music, seeing the concept of digital world, connecting different areas. In summary, openness and crossing areas as preconditions for innovation. Digital humanities can be seen as an example of a crossing of areas that promotes emergence of new knowledge and innovations. Wilhelmsson underlined that the EU has an important role in development of open science. Nandatory exceptions are needed for data and text mining. Moreover, promoting the sustainability of research is needed. In Finland, ministry of education's open science and research intiative has been important. Finland aims to be a leading country in this area in 2017 which is a very ambitious goal. Funding, changes in legistlation, education, and research are needed. Hormia-Poutanen stressed the need for raising awareness, training, clarifyin concepts like open sience, and stating clearly what kind of benefits we can gain with data and text mining. Regarding open access, different stakeholders need to collaborate. As an expert of crowd funding, Loikkanen mentioned that he is eager to have discussion with the audience. He emphasized innovation as a trial and error process. A number of questions and comments were presented by the audience, for example the following. Professor Tuukka Petäjä (University of Helsinki) told about a large body of research on the athmosphere at the University of Helsinki. Petäjä stressed the global potential of such work and called for means to support the means that could lead into wide application of the methods and data created in the research efforts. The president of the University of Helsinki, Professor Jukka Kola asked how does the openness of science in the EU compare with that of the USA and other parts of the world. A member of the net audience posed a question related to the cost of openess. Valto Loikkanen stressed the importance of open data in the case of publicly funded research. He also raised the issue of making close methods abd data open in various ways to boost innovation processes. In computer science, open source software has long tradiotion. In Finland, Linux originating from the University of Helsinki can even be viewed as a national pride. In a private discussion after the event, Loikkanen stressed the global importance of crowd funding regarding its volume and status as a means for reaching rational decisions. Kristiina Hormia-Poutanen stressed that we need copyright legistlation that allows data and text mining. The first part of the event closed with a poll. For the question, does opening research data foster scientific excellence and innovation, more than 90 percent of the audience replied yes. creating an investment friendly environment. 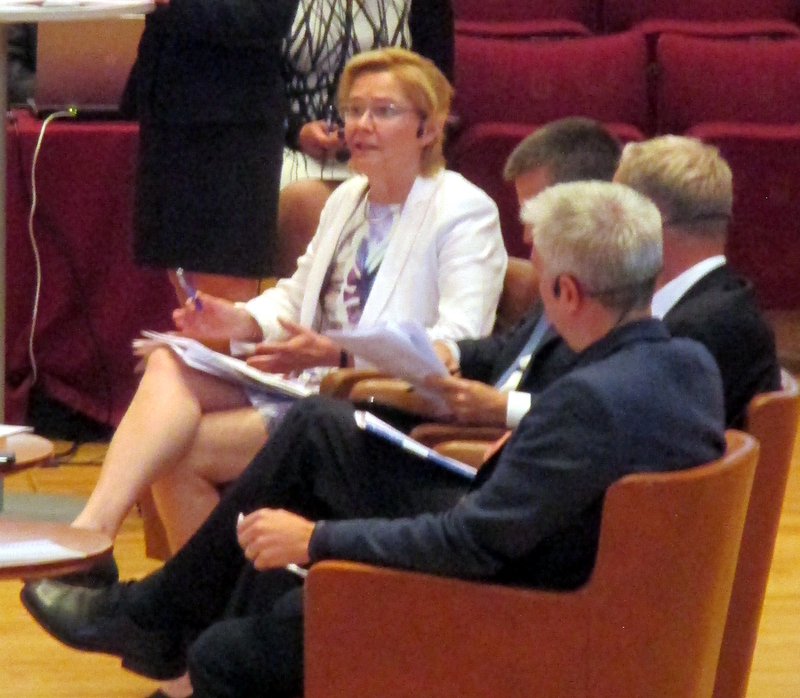 Loikkanen mentioned that wider understanding of risk investment processes are needed. Digitalizing investing is becoming increasingly popular through crowd (sourcing) methods. They offer scalable value creation. Loikkanen strssed that investors want to invest to teams that have necessary skills. This kind of list should be given to all who wish to build a start-up company and consider how they build the core team. Loikkanen mentioned that the cost of innovation is actually low, and the investments in early stages are usually low. However, when the business is to grow, substantial investments are needed. Loikkanen used Google as an example. At Stanford University, investors are at a walking distance from the inventors and developers. 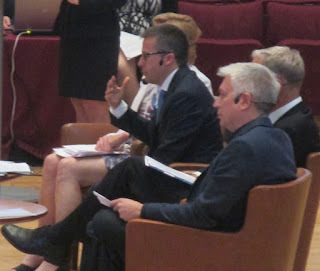 Carlos Moedas answered to the concerned to the role of basic research. He said that the commission does to very good projects regardless of their nature, even basic research (cf. CERN). For innovators, European investment council is needed. The commissioner concluded nicely that "you invest to people, people make the difference!"